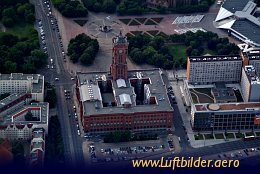 The Berlin City Hall got its name from the red bricks it was built of. 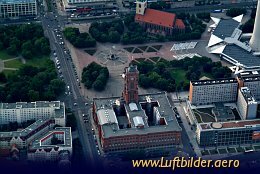 Since 1869 it is the seat of the Berlin government. The Red Townhall of Berlin (German: Rotes Rathaus) was built between 1861 and 1869 by Hermann Friedrich Waesemann. Today it is the seat of the Berlin government.